•  This exclusive formula, with Aqua Mineral Complex, gently cleanses your hair to keep your hair soft, smooth and full of life. Ready? Use after every shampoo. Gently masage through to the ends of your hair, then rinse thoroughly. 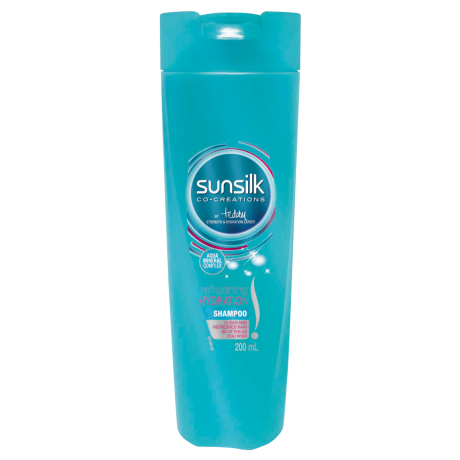 For even more incredible hair, why not combine it with Sunsilk Refreshing Hydration Conditioner? Water, Sodium Laureth Sulfate/Sodium C12-13 Pareth Sulfate*, Cocamidopropyl Betaine, Polyquaternium-10, Calcium Chloride, Magnesium Sulfate, Sodium Chloride, Citric Acid, Disodium Edta, Sodium Benzoate, Fragrance. *Used Interchangeably.